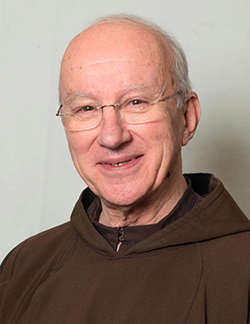 Born on Long Island, New York, Regis John Armstrong is a Capuchin Friar Minor and a world renowned expert on Saint Francis of Assisi and Saint Clare of Assisi. He has authored nine books and many journal and encyclopedia articles as well as edited a number of other books related to his research. Fr. Armstrong earned a PhD in Historical Theology and Spirituality from Fordham University, and served his confreres in various positions of formation and administration. In addition to translating and editing Francis and Clare: The Complete Works, and three editions of Clare of Assisi: Early Documents, he was Editor-in-Chief of the four volume Francis of Assisi: Early Documents.